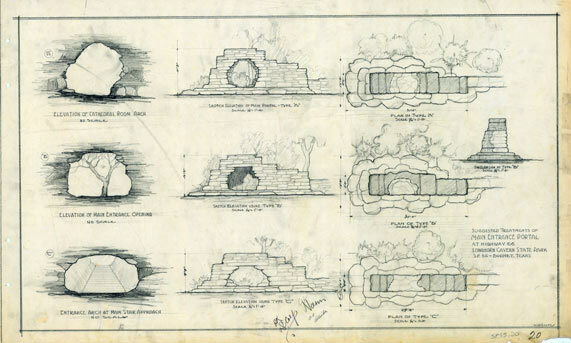 Studies show the thought process behind the concept of incorporating a cross-section of the actual cave into the design of the limestone entrance portal off of State Highway 66 (now 281). The Type C concept won approval of NPS inspector George L. Nason and State Parks Board Chairman David E. Colp. CCC enrollees constructed the portal according to that configuration.